Vitamin E has numerous benefits to our bodies. While its main job is to support your cell membranes, it also helps increase your blood flow, strengthens your heart, muscles, nerves and of course, your skin. So where can we get our source of Vitamin E? It’s mostly found in leafy vegetables like spinach and fruits like raspberries and mangoes. Alternatively, because it’s more convenient for most people, there are plenty of vitamin E supplements that you can take—these include the vitamin E oil which is used for its anti-aging and antioxidant properties on our face, skin and hair. Now let’s take a look of the main benefits of Vitamin e oil for face and how to use it on your face. Put all your ingredients in a small bowl and mix them. Apply this over your face and let it rest for about 10-12 minutes—when you feel the mask has dried. Make sure that you don’t get any in your eyes or it can sting for a while. If you do get any in your eyes, rinse out with cold water. Make sure you wash the mask off with lukewarm temperate so it comes off easier. This vitamin e oil for face works like magic! Mix the vitamin E into the mashed banana so that you have a sort of paste. When applying, again, make sure to avoid getting any inside your eyes especially when applying under your eyes. Leave for 10-15 minutes, and then rinse off with lukewarm water. Due to its antioxidant property, vitamin E oil can work like a sun cream, preventing the sun’s rays from damaging your skin. But, it is more effective as an ingredient in sunscreen lotion, because vitamin E can make sunscreen more effective. You just need to mix some vitamin E oil in your sunscreen. How to Use: After applying your sunscreen, wait around 20 minutes before going out into the sun to give the lotion time to take effect. Minor sunburn damage can be relieved by using vitamin E oil. You should use it on the sunburned area of the face2 times a day until it heals. 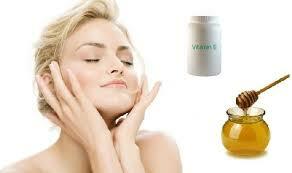 Vitamin E oil can help clean your skin and also act as a toning agent. How to Use: Simply put some on a piece of cotton and wipe your face with it. Rub the oil into your skin in circular motions. This not only acts as a cleanser but your face should also feel a lot smoother and softer after. Individuals who have birthmarks in visible areas, like their faces, can feel embarrassed and self-conscious about them. However, by applying some natural vitamin E oil on them, you can reduce their prominence significantly. While this method has never been scientifically proven, a lot of patients have reported success in the fading of their birth marks. Since vitamin E is a natural oil, there can be no harm in seeing if it works for you. How to Use: Massage about four drops of the oil into your skin on top of sunburned skin, blemishes, scars, birth marks or stretch marks. Make sure you keep rubbing it in until you feel it being absorbed by your skin. To get the best results, repeat this process at least twice a week. Many people report success after using vitamin E oil to heal their scars. It should be noted that no scientific study has yet proven this, but there are many personal recommendations from people who had scars and were able to fade them significantly by applying vitamin E.
Do not use on fresh scar: Using vitamin E oil on a fresh scar can hurt. You have to wait until the scar has sealed over. If you’ve just undergone surgery you also have to wait until it’s closed up. Your doctor should tell you when it would be OK to start applying vitamin E oil. Another great benefit of vitamin E is the ability to get rid of chapped lips, which can be not only embarrassing but very painful too. Cold sores as well can be healed by rubbing some vitamin E oil on the infected area a few times a day. Probably the most significant benefit of vitamin E is its anti-skin cancer properties. Since it helps protect your skin against the sun, it contains strong antioxidant properties that can help to significantly reduce damage caused by the sun. With anti-aging and antioxidant properties, vitamin E oil can help cure any damage created by over-exposure in the sun and UV rays which cause wrinkles and aging spots. Vitamin E also helps increase collagen production in your skin. This helps keep your skin elastic and prevents wrinkles from forming. Not only is vitamin E a great way to prevent wrinkles from forming, but it also contains properties that help fade away an existing ones. Be patient while waiting for the results. The great thing about vitamin E oil is that it is so natural—you don’t have any parabens, sulphates, artificial colors or fragrancesto worry about. It’s safe and there isn’t any reason why someone shouldn’t try it. However because it is all-natural, it may take time (sometimes months) before people see the effects they were hoping for. For this reason, it’s important to be patient and not to expect miraculous results overnight. Also, since it’s used to cure dry skin, people with oily skin should avoid using it. Check for allergic reactions. Even though vitamin E oil is safe for most people it’s still EXTREMELY IMPORTANT to test for any allergic reaction before rubbing any oil into your face. Rub a little into your hand or elbow where allergic reactions can be managed and wait for a while to ensure you are not allergic to any of the properties in vitamin E.
Wash with warm water. Wash your face with lukewarm water, as cold water will leave traces of it. Avoid contact with eyes.One of the most common injuries from vitamin E oil application is getting it inside the eye when applying beneath it. Make sure to be very careful around this area. If you do get any in your eyes, rinse out with warm water. Use vitamin E capsules. 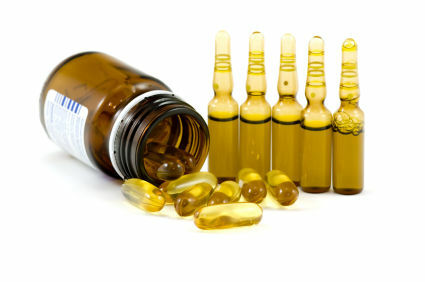 If you can’t find vitamin E oil anywhere, then you can just get vitamin E capsules and open them up to extract their oil. 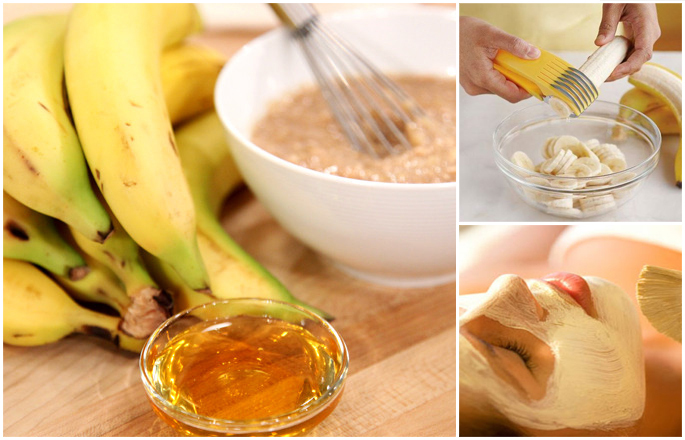 This is a great over-night face treatment, but don’t do it more than twice a week.